Beeline Language Korean is all about learning the Korean language and culture. In our previous lessons, we have learned many different slangs in Korean like mental breakdown. Also, we have covered a lot of words that would be used by young Korean generations today. In the previous blogs, you have learned how to say a cellphone in Korean, and you know how to say a motorcycle in Korean now too. Today, we will learn how to say Music in Korean. 기분이 안좋을때 클래식 음악을 들으면 기분이 좋아져. [gi-boon-ee an-jo-eul-ddae keul-lae-sick eum-ak-eul deul-eu-myeon gi-boon-ee jo-ah-jyeo]? When I am feeling down, listening to classical music enhances the mood. Listening to music when studying will help you to study well. You just have learned how to say music in Korean. Now, there are many different types of music. You have already learned how to say popular music in Korean, which is 가요 [ga-yo] but what would you say pop music? A lot of Korean people would say 팝송 [pop-song] when they think of Pop music. 클래식 [keul-lae-sick] is a well-known genre in Korea as well. Those stereotypes about Korean mothers with their kids learning how to play the piano and the violin at a very young age are true! 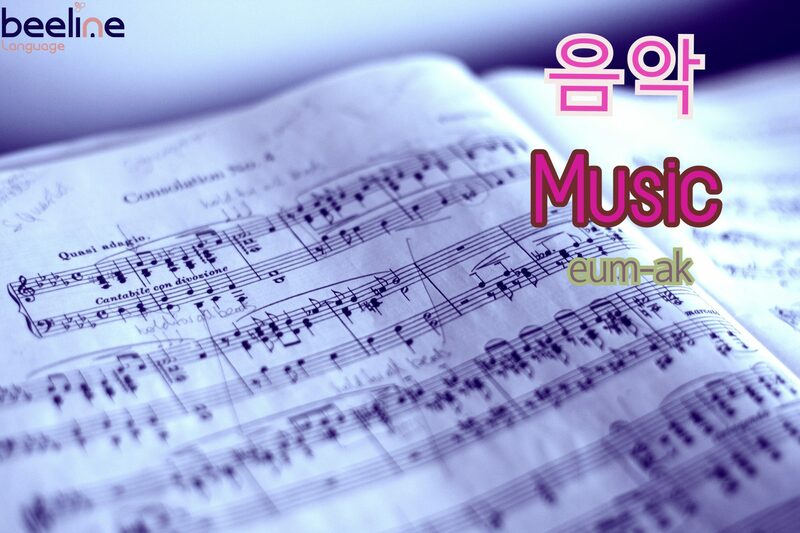 Now that you have learned how to say Music in Korean, let your friends know about what you have learned today!